Heading afield with a talented gundog that locates and/or enthusiastically recovers game with style and natural ability is a true pleasure. 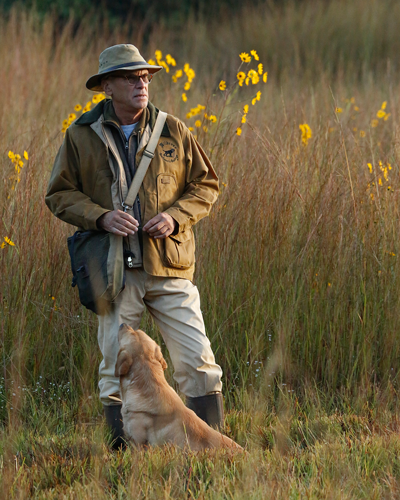 Training such a dog can be among the most rewarding experiences a sportsman can have—fostering a relationship of trust with the dog, participating in the young dog’s development, sharing the successes while learning from the challenges, and ultimately enjoying the immense pride when your charge performs brilliantly in the field or marsh. Beginning and ending training sessions with obedience and steadiness exercises instills confidence in young dogs by “bookending” the learning with success. The journey to gundog stardom is not complicated, but neither is it achieved quickly. What is required is a balanced training approach that brings out the natural abilities of the dog and progressively modifies behaviors. Striking a productive, logical balance in a training regimen is among the “arts” of hunting-dog training. To dwell exclusively on just one skill for extended periods can diminish other previously established skills. Further, this oversight likely will result in a bored dog displaying lackadaisical performance. Developing a training plan begins with the end in mind: a clear vision of what you want from your dog. Our efforts begin by awakening natural instinct, like the tendency to point or the love of retrieving. But just as important, we must balance these activities with establishing essential behaviors such as place training for the traveling gundog, heel work to enhance compatibility, and developing the dog’s patience by tying it out for an extended period in the face of distractions, all of which complement our vision and will endure for a lifetime. The plan then builds upon these fundamentals by progressively developing field skills by training in a logical progression while continuously evaluating the dog’s attitude, retention and confidence. • Dogs learn best through causal relationships established through consistent repetition. • Dogs gain better retention through positive reinforcement, not force. • Training should enhance/complement natural ability, not disguise it. • Training is teaching, not testing. Dogs don’t learn from failure. • Dogs do learn through group dynamics. • Training involves four phases: yard, field, transitional and hunting. • Training is not a program; it is a process. • Dogs learn best when instruction is cyclical. • Training sessions should involve both primary (new) and counter (familiar) skills. 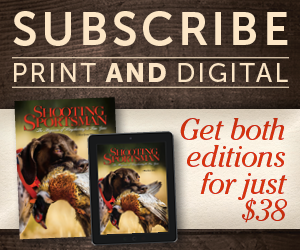 To establish balance in training a hunting dog, one should not subscribe to a mindset of a “training program.” Successful hunting-dog training is best described as a process, not a program. Programs are straight continuums with a beginning and an end. Far too often this training program is universally applied to all dogs, despite a dog’s maturity, aptitude, ability or progression. Programs move from step to step, seldom revisiting previously established skills. Processes, on the other hand, are never-ending cycles of planning, teaching, revisiting established skills and evaluation. The assessment phase provides direction for the next training session. Daily evaluation causes the trainer to scrutinize the results and the effectiveness of the training methods, clarify desirable outcomes, assess the dog’s attitude and, as a result, modify training methods accordingly. The training process must remain flexible based on the individual dog’s needs, level of retention and abilities. No “fixed regimen” or off-the-shelf, canned training program can replace a logical training process customized to fit your particular dog. In nature all things move in cycles. Animals learn best when training methods are structured in a cyclical format rather than a continuum. The term I use to describe the process is “looping,” which is effectively structuring each training session in a cyclical format, with the beginning tying into the end. The daily training session should begin with briefly revisiting formally entrenched skills, then move to the new skills being taught and conclude with familiar skills. By beginning and ending daily sessions with familiar skills, confidence is instilled in the young dog at the onset and conclusion of the training. The dog begins and ends each session under control, quiet, steady and obedient. The familiar skills serve as bookends supporting the learning of less-familiar skills. The sessions are encased in success: for example, obedience, steadiness drills, new skills, counter skills (see below), steadiness and obedience. On a broader scale, a cyclical process is used to move forward in the dog’s development by continuously reevaluating progress and revisiting previously run exercises and drills to ensure retention. Again, we use a loop as we revisit previously mastered skills. In cyclical training structures each action is connected to the next to effectively construct a causal relationship—a naturally progressive link to the next activity, response or action. The cues, instruction or commands of the handler cause a reaction in the dog that should stimulate memory and association, thereby resulting in another action. Causal relationships, properly linked and thoroughly taught, become the building blocks of successful training. As an added bonus, fundamental gundog skills will be consistently revisited and further entrenched. Drilling the fundamentals never hurts. Look what it did for Vince Lombardi. A well-balanced, productive training session—one that promotes continuous progressive learning—involves a bit of structure and planning on the part of the trainer/handler. The drills or transitional exercises that are to be the focus of the day’s lessons are linked to previously taught or introduced skills. For example, after sending a dog for a retrieve several times on open ground, move to a new, more challenging skill, such as sending the dog to retrieve from water. Simple skills mastered in one location are moved to increase the distraction or complexity. The sessions begin and conclude with obedience and steadiness exercises. Now we are ready to add the counter skill, an important part of a balanced daily training cycle. A counter skill is one that involves an exercise or task requiring the use of skills that differ from those used to complete the primary training session of the day. For example, the primary training session may have focused on the skill sets involved in handling, with short casts made for visible bumpers to assure success. A counter skill would be to set up a final, long trailing memory drill—established by walking out a distance with the dog at heel, placing a bumper as the dog observes, and then retracing your path to the desired spot. Turn and line the dog for the retrieve, effectively extending the young dog’s range, since the session’s previous casts were short. Another option would be to have the dog hunt in heavy cover for a tennis ball, which would require the dog to use its nose for success—countering the day’s other activities, which have involved the use of sight. An example of this as it would apply to a pointing dog would be that after several exercises emphasizing steadiness to wing & shot, the counter skill would be to direct the dog to “hunt dead” for a bird in thick cover. A counter skill is an exercise run after the day’s principle lessons are completed in order to incorporate balance. A daily training session for a young prospect will focus on several similar skill sets. These exercises will be logically related to the lesson previously taught. Sessions are begun with obedience and steadiness lessons. Next, the principle training sessions are conducted. Upon conclusion, the counter skill—one that is quite different than the lesson of the day—is added for balance and to reinforce the value of a previously established skill. Finally, steadiness and obedience exercises end the session. 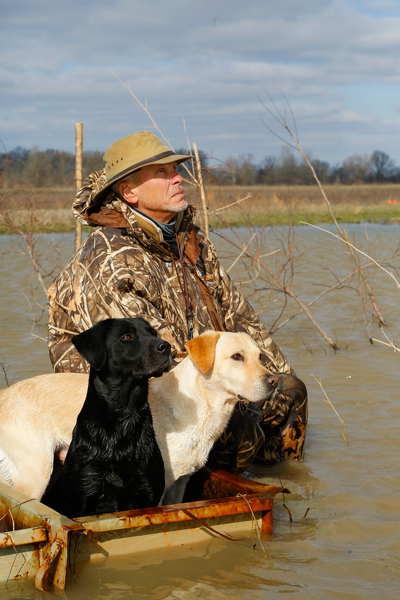 Developing a well-balanced hunting dog requires variety in the training experience. Variety is essential for the dog to learn to perform in various locations and under different conditions. Variety also serves to prevent stagnation of the learning process due to boredom. Repetitious drills conducted on familiar ground often lead to a sour dog. Intelligent dogs respond well to changes in the game and in the playing field once fundamental skills are established. Variety keeps things interesting and meaningful. Once a skill is well established in field-training areas, the sessions should become mobile. Move to woodlands, fields, croplands and water. Variety is also applicable in structuring the training lessons themselves. Extremely redundant drills or exercises can lead to reduced enthusiasm and retention from the dog. Stimulate the learning process by incorporating variables with the training sessions. • The type of object being retrieved. Occasionally switch the type, size and texture of bumpers. Incorporate DeadFowl trainers, feather-covered bumpers, cold game and occasionally live birds for pointing breeds as well as flushers. These provide a bit of interest. • Train at different times of the day and in different types of weather. This offers a new perspective to the training. 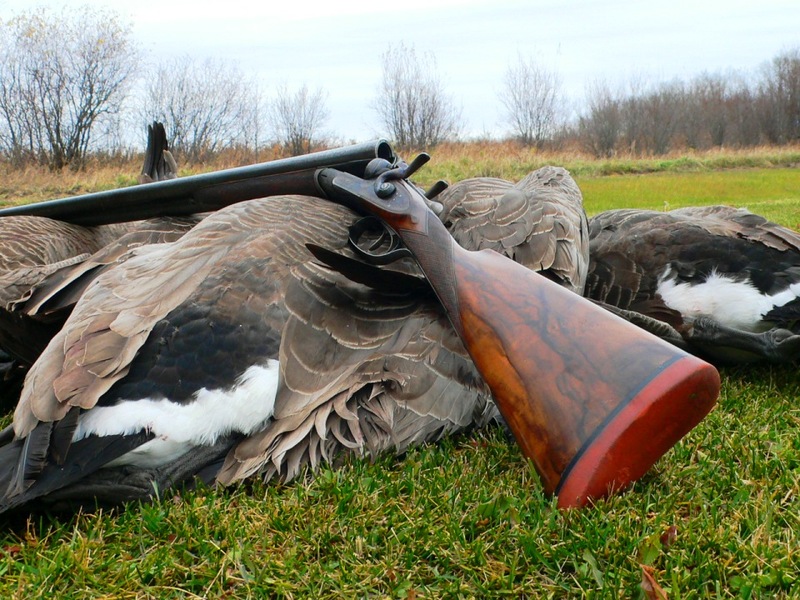 • Occasionally incorporate duck calls, gunfire, bumper launchers, live flushes and so on to spice up training. • Too much or too little obedience or steadiness. • Not balancing the use of eyes with the use of nose. Overemphasizing marking activities at the expense of hunting and memory experiences. • Over-control. Too many controlled whistle stops and handling at the expense of the dog’s independent hunting confidence. • Skipping around between unrelated lessons and drills as opposed to establishing a learning chain emphasizing logical progression. Lack of variety and overemphasis of a particular area in training likely will result in diminished performance in other areas of a dog’s development. Handlers must assess their dogs’ attitudes and progression while continuously ensuring balance and variety in the structure of lessons. Effective training is a continuous, cyclical progression involving planning, teaching, revisiting established skills and evaluation. The ability to assess a dog’s development and apply flexible principles to create a balanced learning chain remains the hallmark of an effective process. Photographs by Katie Behnke for Wildrose Kennels. Mike Stewart is the president of Wildrose Kennels—breeders and trainers of British and Irish lines of Labrador retrievers. 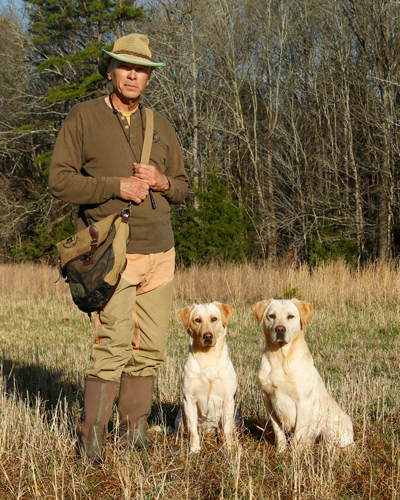 He is the author of the book Sporting Dog and Retriever Training the Wildrose Way. Learn more at uklabs.com. Mike Stewart is the president of Wildrose Kennels—breeders and trainers of British and Irish lines of Labrador retrievers. 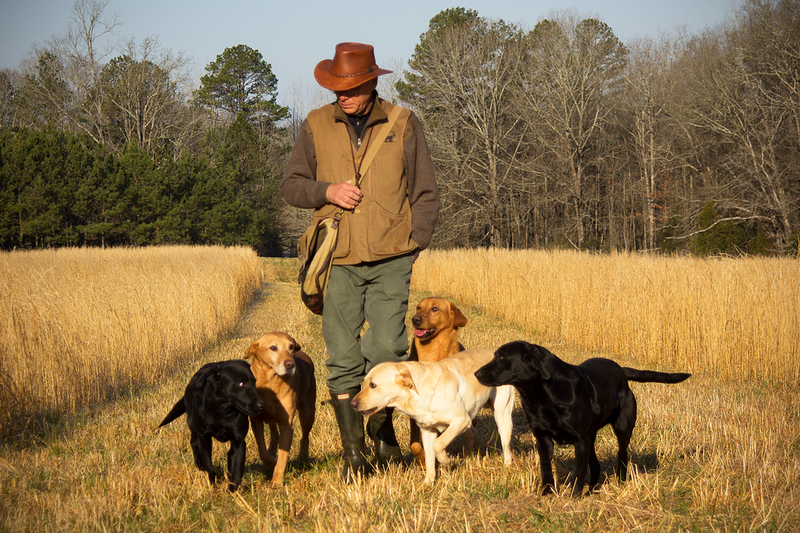 He is the author of the book Sporting Dog and Retriever Training the Wildrcse Way. Learn more at uklabs.com.